This page includes texts that qualify as “literature” but don’t fall into the other categories in this section. Nonfiction works that I’ve taught may be appropriate supplementary material to read along with major works of literature, but for me as a former philosophy student they’re also intrinsically interesting, so from time to time I choose to develop teaching materials for some of them. 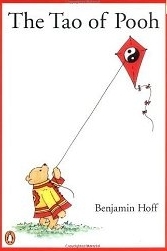 The Tao of Pooh: Having discovered this fun and surprisingly insightful book about Taoism during the course of my Chinese and philosophy studies, I was stoked, as the Taoists of the California surf say, when one of my students had to read it in school, so I wrote explanatory notes as a companion to the book.